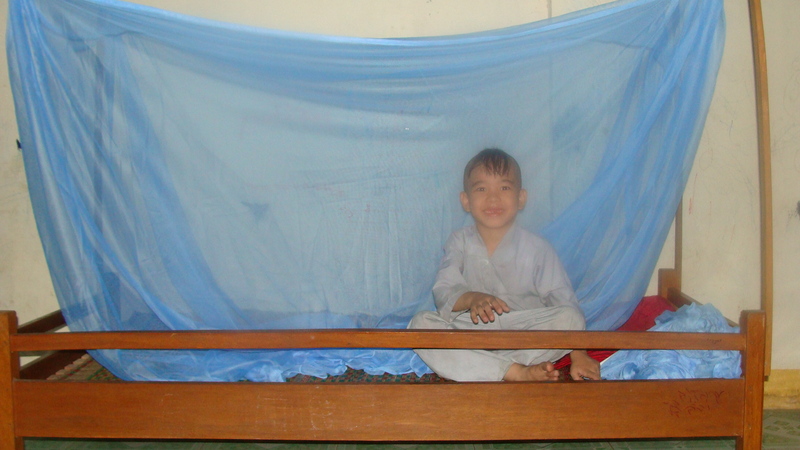 On October 25, 2015 we brought new mosquito nets to the Loc Tho orphans. 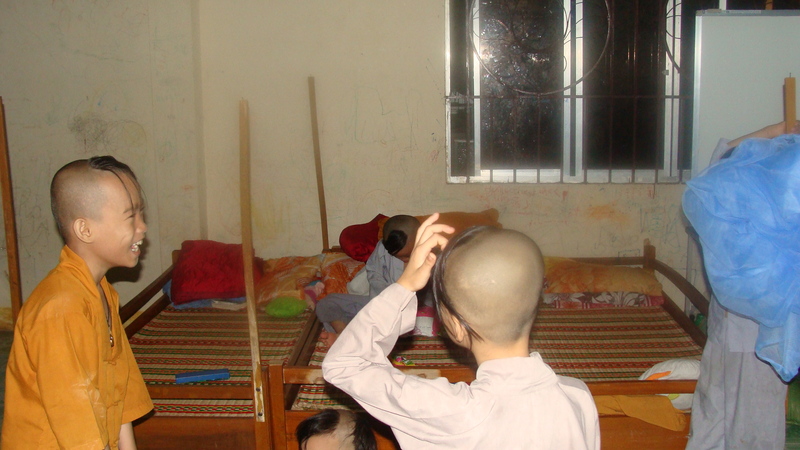 The Loc Tho pagoda offers a large charity school for neighborhood youngsters, and also cares for about 30 orphans. 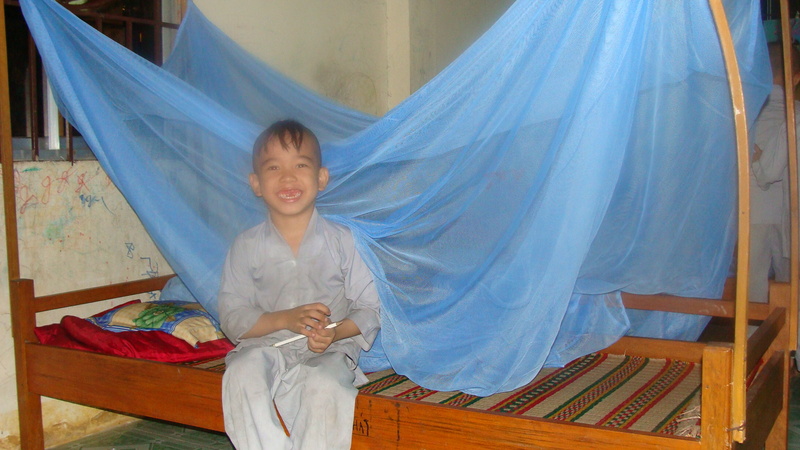 With the rainy season coming, mosquitos are beginning to come out in force, and the orphans at Loc Tho needed new mosquito netting to keep them safe from bites when they sleep. 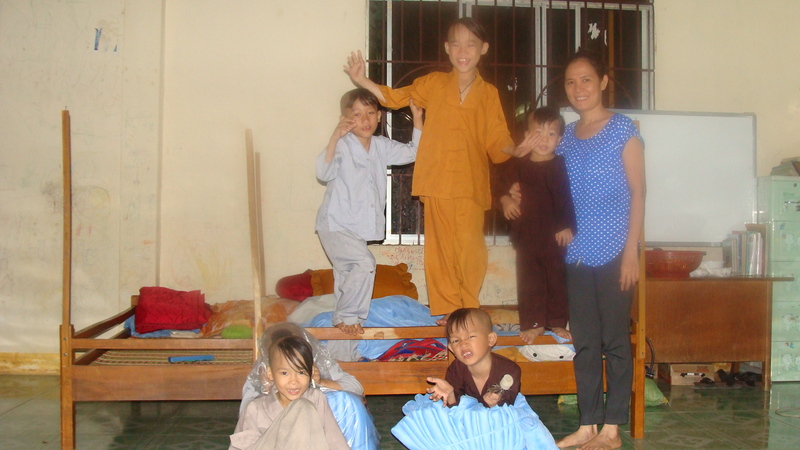 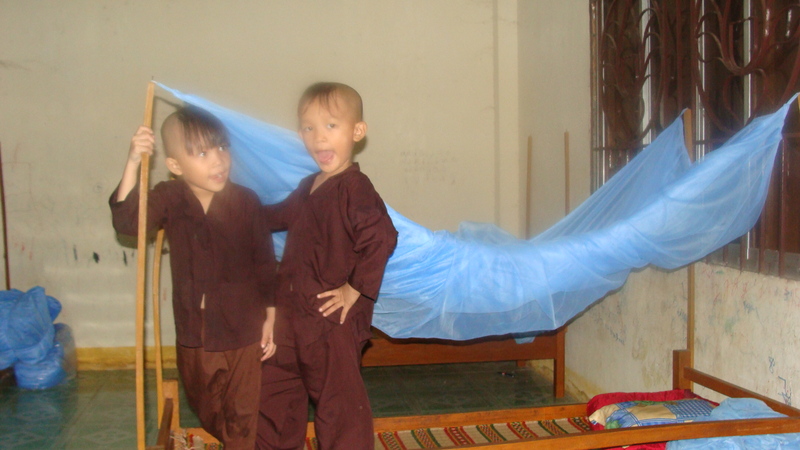 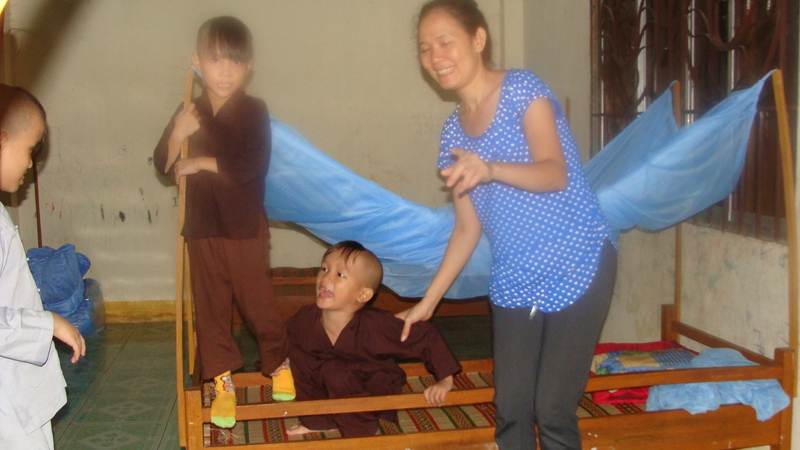 Thanks to kind donations from Dane Sawmiller, Daniel Cole, and Nhu Le, we bought 20 mosquito nets to Loc Tho.